The definitive guide to the West Country music since 1999! **This website was founded by Paul Gunningham, aka Zider Ed in 1999. Sadly Paul died in 2007 as a result of injuries sustained in a road traffic accident. Rather than let his legacy fade, Frank Blades of Somersetmade Ltd took over the running and continued development of this website in his memory. However, Frank has now left Somersetmade Ltd as a director and subsequently information contained herein (although correct at the time of posting) may now be out of date and links to artistes or sites cannot be guaranteed. 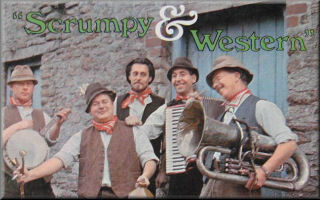 Scrumpy & Western gigs see the gig guide for the full listing.